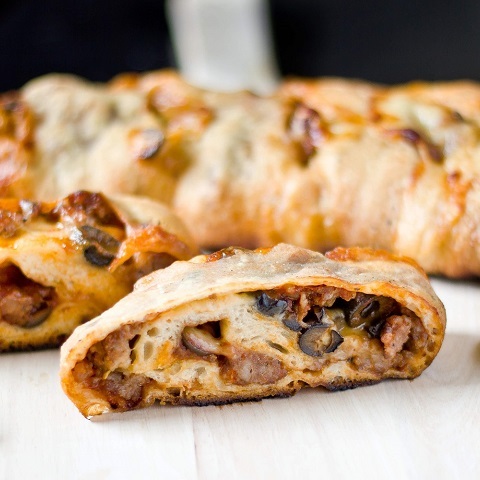 Italian Combo Stromboli! Stuffed with pepperoni, ham, Italian sausage, mozzarella cheese & tomatoes. It served in two different sizes – regular and jumbo.